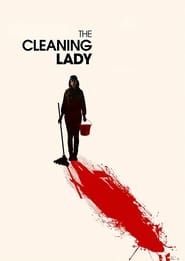 If you had trust issues before, director Jon Bitter Melon Knautz’s latest feature, The Cleaning Lady, will only make them worse. Co-written by Knautz and Alexis Kendra, The Cleaning Lady follows Alice (played by Kendra), a beautician and recovering “love addict” attempting to end a longstanding affair with a married man. She hires Shelly (Rachel Alig), a shy, heavily scarred maintenance worker at her building, to take on some cleaning around her apartment. One night, while seeking to distract herself from her former lover, Alice asks Shelly to stay for dinner. Thus, a very unlikely friendship is born. At first, the women enjoy each other’s company. However, things take a turn when the troubled housekeeper becomes infatuated with her new companion. Soon, Shelly’s past traumas begin to resurface, causing her to become obsessed with making Alice perfect.